Do You Need To Purchase Deck Design Software? Do You Really Need Deck Design Software To Build A Deck? There’s nothing better than entertaining your friends on a sunny afternoon on your deck. The kids are running around your backyard, your friends are enjoying a glass of wine and you’re barbequing your favorite ribs. If you’re building a deck or planning on rebuilding your existing deck, like we recently did, you are probably wondering if you need to purchase deck design software? If your wood deck will be a standard square size and not raised you can probably get by with a good set of plans. If not, you will want to consider deck designer software. 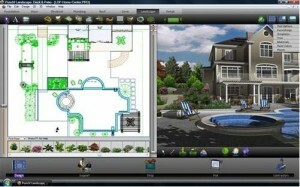 If you are in the process of designing your dream deck, then deck planning software is a must. The software will help you put your plans and ideas on paper. You can design your deck to fit your landscape. You can quickly modify your plans based on input you get from friends, family and your builder. You can also print out multiple plans and review them all. How big of a deck are you building? If you are building a large or complicated deck you will want a good set of detailed deck plans. This will ensure it is built properly and to your specifications. If you or your contractor does not have a lot of experience building decks, then having a good deck design is a must. A well designed plan is like a map to ensure that at the end of your adventure you arrive with the deck of your dreams. The one big benefit I saw with designing or own plans is that when we went to the city to have our plans reviewed part of our deck was in the setback. By designing our own plans we were able to quickly make changes and re-submit our plans to the city and get approval. How Much Should I Spend on Deck Designer Software? Free deck designer software is available to download on the Internet today, but if you are spending thousands of dollars on a wood deck, spending a few dollars to get quality plans is a wise investment. There are a lot of different levels of software available from under $40 to over $500. Unless you plan on designing decks for a living, you can purchase a good software package for around $50.00. I think this price range will give you all of the features you need to design a great set of plans. You might want to consider spending more money if you plan on using the software for more than just designing your deck. 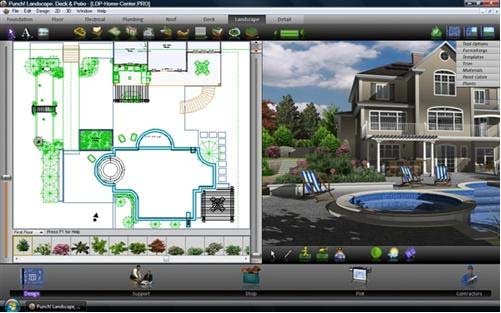 There are deck planning software pakcages available that will also help you design your landscape and even an entire house. What Is The Best Deck Design Software To Purchase? From my experience I recommend you review IMSI/Design, the home of TurboFloorPlan and Instant Deck Design. They have several versions deck, landscape and home design software available for download or they will send it to you on a DVD if your prefer. So if you just want to design a new deck just get that package. If you have bigger plans, get the package that fits your needs. They also have a free 800 number you can call if you have questions or you need help getting the software installed. And of course they have a money back guarantee.